Simply the best Vanilla Cupcakes with Coffee Buttercream! 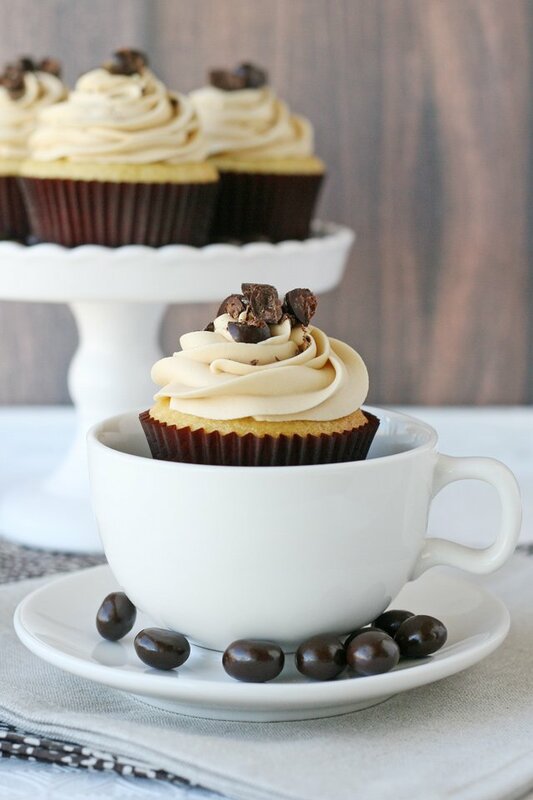 I love cupcakes…and I love coffee… so this Vanilla Coffee Cupcake combo just needed to happen! 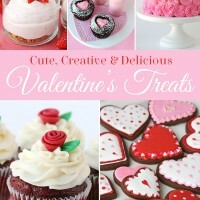 The recipe starts with my Perfect Vanilla Cupcakes Recipe (a long time reader favorite!) and I’ve added a creamy, coffee infused buttercream frosting. The result is a sweet, flavorful cupcake, with just the right amount of coffee flavor… not too strong or too subtle. Top the cupcakes with chocolate sprinkles or some chocolate covered espresso beans (as I have) and you have a beautiful and delicious treat! Now, as with most any baking project… there are lots of options for variations! 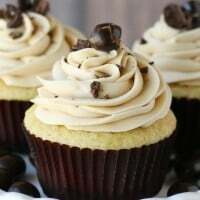 Feel free to use the Coffee Buttercream recipe below with my favorite Chocolate Cupcake Recipe in place of the vanilla cupcakes. If you’d like to make a Mocha Buttercream, read all the way to the bottom of the recipe for that simple variation (I’ve made it that way as well, and it’s delicious!). If you really love coffee and want to increase the coffee flavor, I’d suggest using a pastry brush to brush a bit of coffee on top of the baked cupcakes, while they are still warm. 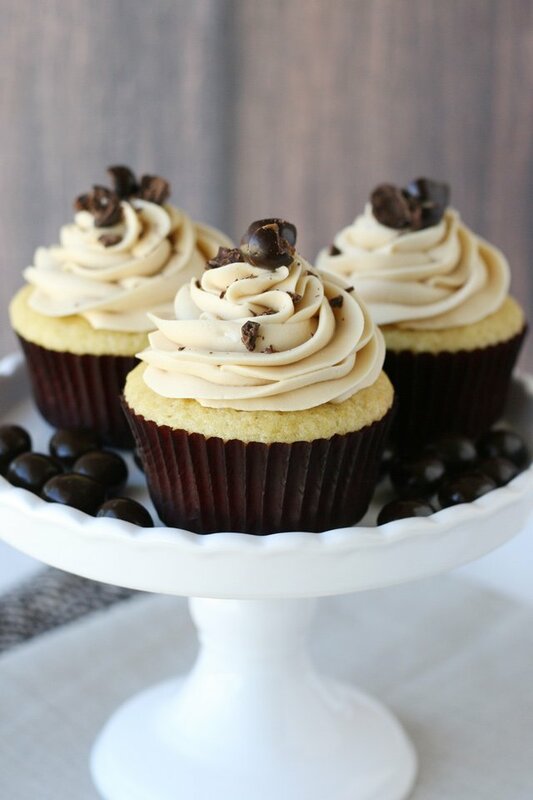 Simply delicious vanilla cupcakes are topped with creamy and flavorful coffee frosting. In a medium bowl, add cake flour, baking powder, baking soda and salt. Stir together with a whisk, and set aside. 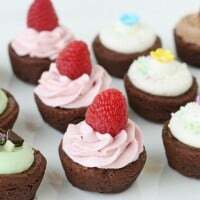 Bake cupcakes in pre-heated oven for 12-15 minutes, or until they are just slightly golden brown on the edges and a toothpick inserted in the center of a cake comes out clean. Cool in the pan 1-2 minutes, then remove cupcakes from pan (carefully) and finish cooling on a wire rack. Cool fully (about an hour) before frosting. In a small bowl, add the instant coffee and the milk or cream. Stir together to dissolve the coffee, then set aside. In the bowl of an electric mixer, fitted with the whisk attachment, beat butter (on medium speed) until completely smooth (30 seconds to a minute). Add cream cheese, and then continue to beat until smooth. One cup at time, add 2 cups of powdered sugar, beating after each addition. Add the vanilla, salt, and the bowl of dissolved coffee. Continue to blend until all ingredients are fully incorporated and the mixture is smooth and fluffy. Scrape down the sides of the bowl as needed. Fill a pastry bag with the frosting and pipe onto fully cooled cupcakes. Top frosted cupcakes with sprinkles or a few chocolate covered espresso beans, if desired. 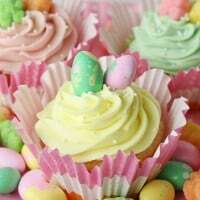 Cupcake notes - You may use all purpose flour in place of the cake flour, but the cupcake texture will not be quite as fine. Frosting notes - I used Folgers instant coffee, simply because it's cheap and easy to find, and it worked beautifully. If using instant espresso powder (instead of instant coffee), you may want to use a bit less. If you have an aversion to cream cheese, you may replace it with an additional 1/2 cup (1 stick) of butter, but the resulting frosting will be a bit sweeter, and not quite as creamy tasting. If you'd like to make a mocha flavored frosting, simply add 2 Tablespoons good quality unsweetened cocoa powder to the recipe above (add cocoa powder at the same time as the powdered sugar). I used Challenge butter and cream cheese, but feel free to use any high quality brand of your choice. Somehow these Vanilla Cupcakes with Coffee Buttercream seem like the perfect back-to-school cupcakes… for the teachers! Yum yum! ! ! Coffe and chocolate . . . what more does a girl need? ? ? Truly not much! =) Thanks Sherrill! These are so pretty Glory! Very tempting! 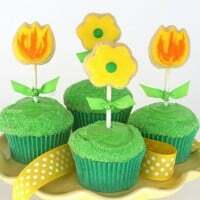 What a desire to eat these cupcakes, ideal for the baby shower that I’m preparing. I love the combination of vanilla and coffee so good! 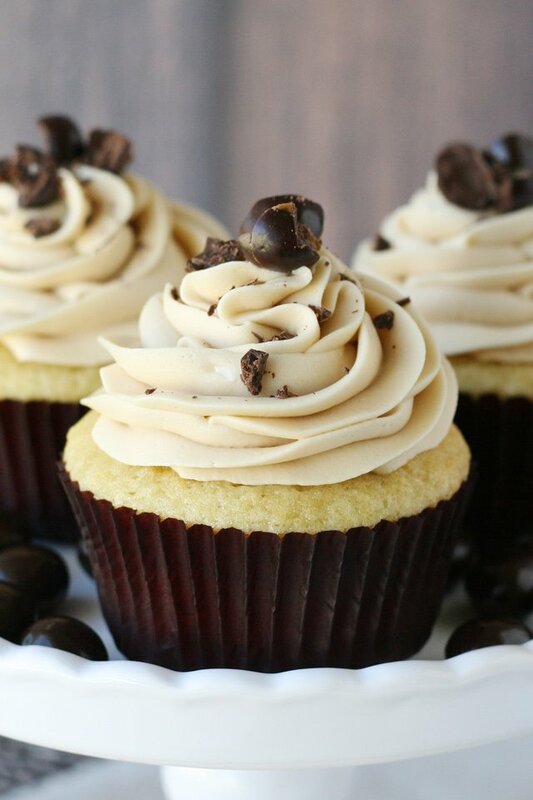 Thanks for sharing the tip about brushing the tops of the cupcakes with coffee – that thought never even crossed my mind and now I’m itching to try it!! Gorgeous photos by the way! Thanks so much for your sweet comment! I hope you give them a try and enjoy them as much as we did! e ways by which I can make my whipped cream frosting stable for 1-2 hours? Hi, your recipes are always lovely. I’d want to know if I can use another ingredient to replace the cream cheese in the frosting. Cake flpur and selfrising flour is the same thing? No, cake flour and self rising are not the same. Self rising flour has added leavening ingredients (baking powder) and cake flour is just 100% wheat (flour).